Design is notoriously difficult to define, but that won’t stop me trying. Every human artefact can be plotted on a huge chart that begins with the caveman’s hastily-gathered pointed stone and ends with a carefully-considered sublime work of art. The one crudely effective, the other beautiful, spiritual, exalting and practically useless. Design is somewhere between the two: useful objects which are touched by intellect and art. And the most difficult of design tasks is a simple dwelling. Designing a house seems to be at the outer limits of human possibility. The variations in function and taste are so many that the number of possible “solutions” approaches infinity. In fact, “solution” is not the very best word to describe the end of the design process. What designers call new “solutions” are often just old problems presented in a new form. Sometimes it seems we are never going to run out of problems. After nearly a century of modernist autocracy, our current age is more pluralist. 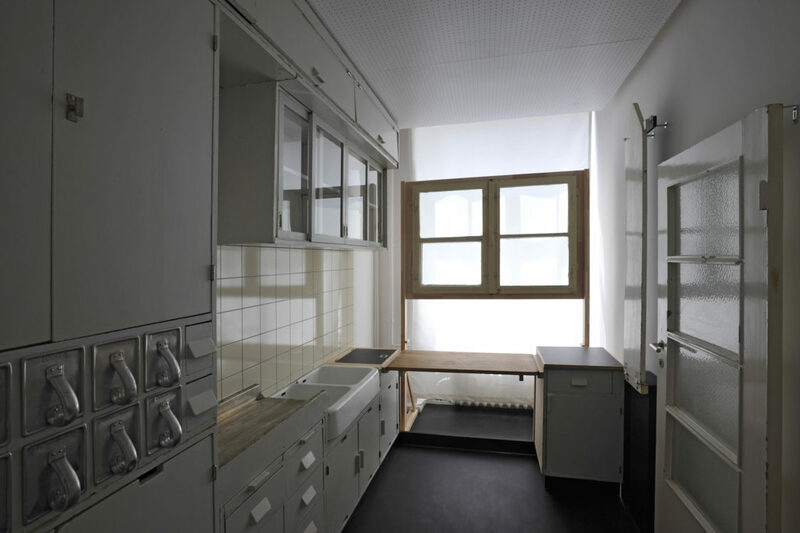 In 1926, Margarete Schuette-Lihotzky presented her “Frankfurt Kitchen”, a showpiece of Ernst May’s social housing programs in Hessen. Looking a little like a submarine interior, it was the closest anyone ever came to Le Corbusier’s nightmarish dream of a house being a “machine-for-living-in”. It was a magnificently assertive design, but one which we can now see was an expression of passing taste, evidence of a temporary infatuation with machinery amongst architects. Nowadays, we are inclined – perhaps – to prefer a more rustic Tuscan kitchen. And that’s if we want a kitchen at all. That’s because our world is becoming de-materialized. Uber is a transport company that owns no vehicles. Airbnb is the largest hospitality company in the world and owns no hotels. In Manhattan and London, on-line home delivery is undermining the working assumptions of restaurants. People will still go out to dinner, naturally, but the individual restaurant kitchen might one day be replaced by a central resource serving many outlets. A new generation is disdaining Big Brands. Millennials prefer their mobility to be via smartphone than a car. Meanwhile, at home, conventional assumptions about domesticity are being tested everywhere. In this turbulent environment, it is comforting to look at those simple, domestic objects which have achieved a sort of unalterable perfection. Art historians used to call this “Zeitlose Kunst”, describing those works of art that transcended fashion and spoke to every age. Of course, there can never be truly be such a thing since our concept of “timelessness” is itself conditioned by our own historical moment. Still, it’s a noble challenge to seek out the best. To decide how we separate quality from mediocrity. To decide what values will really endure. And this is something that is surprisingly rare because designers always want to change things, even when they are looking for permanent “solutions”. Still, there is a small number of designs which achieve timelessness, offering access to perfection at a modest cost. And you cannot say that about art. William Morris insisted that you should have nothing in your home which you do not know to be useful or feel to be beautiful. In Morris’ day, that was an ultramontane ambition. But now it is a possibility for everyone: the very best designs let you enjoy beauty and utility at the same time. "All these designs confirm that life is more than a temporary and random conjunction of hydro-carbons in the chaos of infinite space." Rex Model 11002 Vegetable Peeler, 1947. Alfred Neweczeral (1899-1958) was a Zurich metal-worker, installed in a basement in Birmensdorferstrasse. 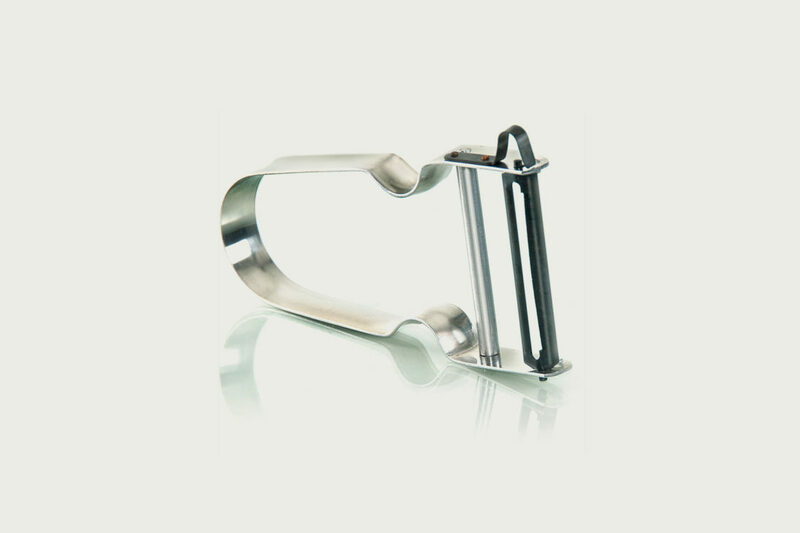 He began experimenting with designs for a vegetable peeler in 1936 (when he received his first patent) and eleven years later had perfected this modest handtool into a device that was both beautiful and useful. A Rex peeler works exquisitely, a miniature of Swiss precision in the kitchen sink. Like all good designs, it cannot be improved by taking anything away or adding anything to it. As much a part of Swiss identity as a Victorinox penknife or a Max Bill clock for Junghans, Rex has featured on postage stamps. It is elemental and unimprovable. Herman Miller Model 670 Chair and Model 671 Ottoman, 1956. 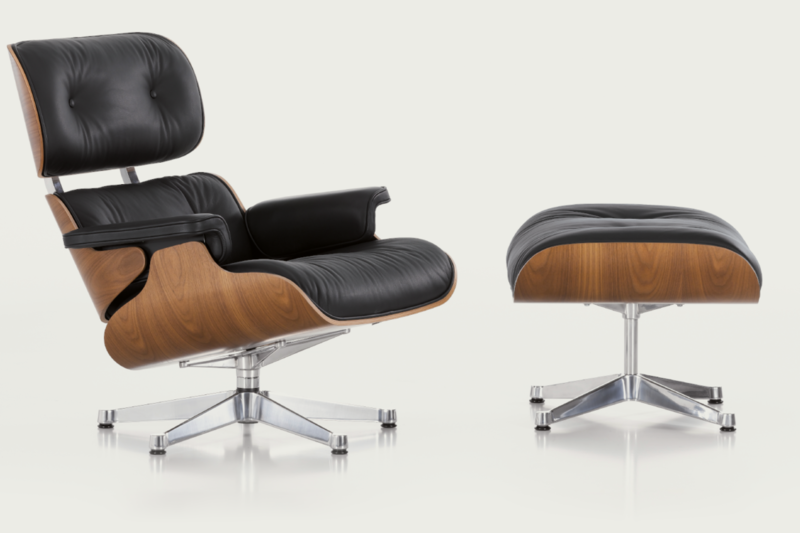 Charles Eames (1907-1978) was The Great American Designer, a figure of heroic stature. He was the Master of Mid Century Modern, that moment when an uncompromised America was still enchanted with its vision of itself. And Eames wanted to give form to the American dream: it was said in his day that for a design to be acceptable it had to be both European and useless. Instead, Eames wanted to create an American design language. While model 670 (designed with his friend Billy – “Some Like It Hot” – Wilder in mind) was inspired by old English club chairs, it was also inspired by a down-home American baseball mitt. Advanced moulding techniques were used in its manufacture, but it also makes a claim to the historic parts of our imagination. Being supremely comfortable, it can claim perfect function, but an Eames Chair ages beautifully, acquiring a delicious patina. Rare amongst modern furniture, it has endurance as well as charm. Angelpoise Model 1227 Lamp, 19356. George Carwardine (1887-1947) was an engineer specialising in vehicle suspensions. His knowledge of springs was influential in the design of the Anglepoise: while the articulated arm apes the human skeleton, the set of four springs at the base allow infinite adjustability, rather as muscles control the human arm. It was developed by Terry’s of Redditch, a spring manufacturer. In terms of form, the Anglepoise has a thrilling simplicity: a machine-for-lighting. 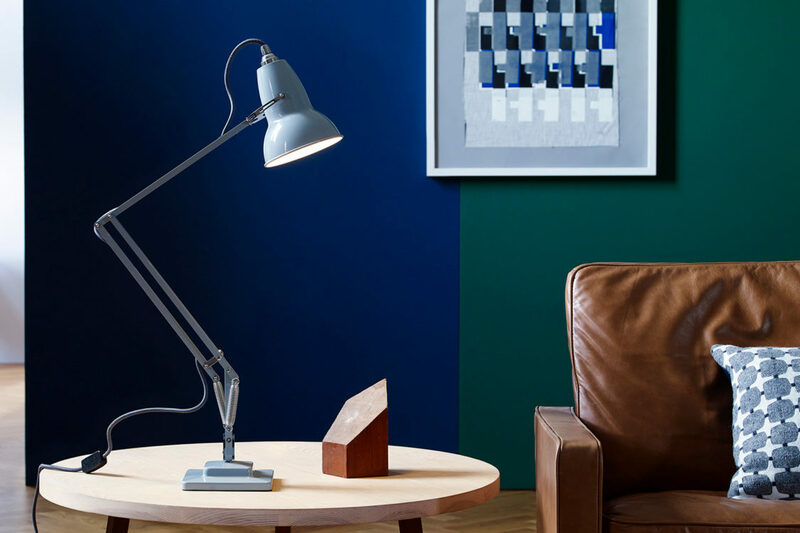 Still in production in many variations, Carwardine’s Anglepoise is the most imitated light ever: Jacob Jensen’s Luxo of 1937 is a development of the original idea. The design has recently been refreshed by Kenneth Grange, without any compromise of the original’s integrity. Moka Express stove-top coffee machine, 1933. Modern design is concerned both with the aestheticisation of everyday objects and with the democratisation of luxury. That’s a difficult sentence, but it means making ordinary things beautiful and making special experiences everyday events. 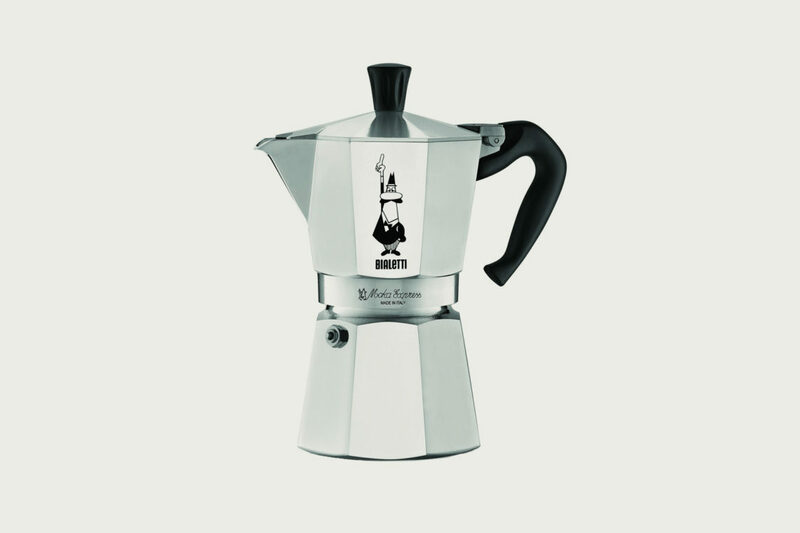 Before Alfonso Bialetti (1888-1970), espresso machines had been expensive and difficult contraptions, but his ingenious Moka Express made excellent coffee cheaply available at home. Bialetti was a Piedmontese metal-worker and his use of aluminium was daring, but the faceted shape suggested also a dignified classicism. The Moka Express is exceptionally simple, with no moving parts. Its assembly and use pays homage to the careful rituals of coffee, bringing a little dolce vita romance into ordinary life. The endearing caricature of l’omino con i baffi (the little man with a moustache) appeared in 1953. The Moka itself is unchanged since its introduction. There is a saying in Zen that whatever is true, the opposite is truer. You can repeat this to yourself as you sit in rapt concentration, contemplating the subtleties of the Saito 901 waste bin. To a great designer, a humble object is worth as much attention as a complex or exalted one. 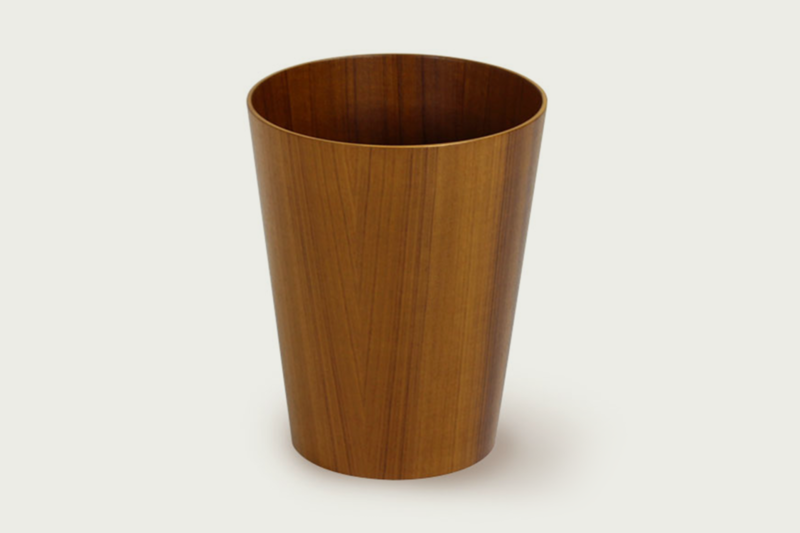 “A simple goal is not a simple matter” says Isamu Saito, designer of the world’s most beautiful waste paper baskets. Metal being in short supply, Saito worked on plywood fuel tanks for the military during The Second World War, establishing his own wood-working company in Shizuoka Prefecture in 1950. In fact, more of a workshop than a company, Saito Wood today only employs fifteen people even if the founder has been a celebrity since 1966 when he won the Japanese Good Design Award. His simple products are industrially manufactured, but inspired by traditional craft techniques. Japanese culture encourages a reverence of materials the better to understand their true nature: Saito insisted that plywood can achieve more subtle shapes than natural wood. His 901 basket is simple, but subtle; beautiful, but modest; functional, but indestructible. Ultimately, all these designs make us feel good about ourselves. They dignify existence and confirm, if confirmation were needed, that life is more than a temporary and random conjunction of hydro-carbons in the chaos of infinite space with its nasty Black Holes. Life is about enjoying the drama of existence… and a good vegetable peeler helps. An excellent chair, light, waste-bin and espresso machine help even more. They are the best messengers of a world above nature. Small monuments to ingenuity, palpable evidence too of our appetite for beauty. Giving practical pleasure everyday is another definition of design. Probably, we need more of it.